It’s pretty amazing when you think about it for a moment. All three indices hit simultaneous new highs at a time when earnings, profitability, and economic data are deteriorating. While much of the media analysts continue to suggest there remains a bearish attitude towards stocks, price action of the markets as compared to fundamental data suggests quite the opposite. The chart below compares the current S&P 500 to both earnings and the annual ROC in GDP. Despite a “belief” that “This Time Is Different (TTID)” due to Central Bank interventions, the reality is that it probably isn’t. The only difference is the interventions have elongated the current cycle, and has created a greater deviation, than what would have normally existed. What is “not different this time” is the eventual reversion of that extreme will likely be just as damaging as every other previous bear market in history. But, of course, “TTID” is the old Central Bank driven mantra, today it is “There Is No Alternative (TINA).” As stated, regardless of what you call it, the results will eventually be the same. Let’s review where we stand currently. Chart updated through Friday’s open. “The market, on a short-term basis, remains in extreme overbought territory. This needs to be relaxed somewhat before additional equity exposure is added to portfolios. As shown, a reversion to the current bullish trend line, which coincides with the market’s recent breakout levels, is a likely target in the short-term. “Here is the point. It would take a correction from current levels to break 2000, which is very important support for the markets currently, to even register a 10% correction. Let’s take a look at some of the issues that suggest a reversion in prices is likely coming sooner rather than later. The level of “complacency” in the market has simply gotten to an extreme that rarely last’s long. The chart below is the comparison of the S&P 500 to the Volatility Index. As you will note, when the momentum of the VIX has reached current levels, the market has generally stalled out, as we are witnessing now, followed by a more corrective action as volatility increases. Eric Bush, CFA from GaveKal Research had an excellent piece this week discussing this same idea but also looking at junk bond spreads. “The relationship between the VIX and the spread between high yield bonds over 10-year treasuries is highly correlated (87% over the past 15 years). This, of course, makes intuitive sense. The VIX tends to spike when confidence in stocks or the economy is shaky. Which is also true for high yield bonds. When investors begin to worry that high yield issuers won’t be able to make debt payments because of, for example, slowing growth, high yield bonds usually sell off against treasury bonds. “As we have discussed on many occasion, these hedgers are often considered ‘smart money’. This is a bit of a misnomer which causes some confusion every time we use the term. It is not that these hedgers (e.g., banks and large financial institutions) are always right. In fact, they can be wrong for long stretches at a time in a strong trending market. However, we know what typically occurs when the speculators’ positioning becomes too one-sided or extreme – the market reverses on them. And as they are on the other side of the position, these commercial hedgers are typically correctly positioned at major market turns. Thus, the ‘smart money’ moniker. As always, timing is everything. The point here is simply the “risk to reward” dynamic for either adding to current long-positions or maintaining overweight equity positions in portfolios will not likely pay well. As I have noted repeatedly in the past, maintaining your portfolio through a disciplined investment process will reduce risk and increase long-term profitability. Tighten up stop-loss levels to current support levels for each position. Hedge portfolios against major market declines. Raise cash and rebalance portfolios to target weightings. “So, am I buying equities to move portfolios to the current target allocation? It has now been FIVE weeks since the market broke out of its 18-month consolidation process at which time I laid out the case to increase equity exposure in portfolios. I have been repeating that case here each week, primarily for new readers, with not opportunity to adjust exposures as of yet. That is a fair question. If I manage portfolios against the potential of long-term impairment of capital, the creation of returns becomes a byproduct of that effort. Currently, while there is a very bearish case to be made from the deterioration of economic and fundamental variables relative to the market, the current technical price dynamics are both bullish and positively trending. Therefore, as a money manager, I want to maintain exposure to the equity markets until such time as the technical price dynamics change from bullish to bearish. I have stated repeatedly over the last couple of weeks that the breakout of the market above the 18-month consolidation range was bullish and demands an increase in equity exposure. However, such an increase must be done when the risk-to-reward ratio is favorable which is what I am currently patiently waiting for. I have laid out the potential price corrections needed to both warrant, and negate, such an equity exposure increase. As Doug Kass noted this past week, there is a trio of factors pushing stocks higher. “Central-bank policies are succeeding in encouraging risk takers to take more risks in long-duration financial assets, while central-bank purchases have sent financial-asset prices spiraling upward and reduced volatility (as measured by the VIX). This has created what I call the Bull Market in Complacency — an almost universal view that any drawdown in market prices will be limited. Many U.S. corporations that face lackluster top-line growth are repurchasing stock in record amounts at record prices rather than doing capital spending to bolster their physical plant. This boosts stock prices, satisfying large shareholders and feathering insiders’ portfolios. While many retail investors are long gone from the stock market, volatility-trending strategies, risk-parity trading systems and other quant programs keep pushing stock prices to new all-time highs. The “big chart” of technical underpinnings clearly suggest that while prices are bullish, the underlying “health” of the market remains weak. What Can Go Wrong? A Lot! “An Abrupt Growth Slowdown. Low U.S. interest rates have pulled forward demand, and from my perch, we’re already seeing ‘Peak Autos’ and ‘Peak Housing.’ I wonder whether U.S. consumer spending’s recent strength is sustainable … or just the last gasp of growth? A Possible Deeper ‘Earnings Recession.’ Will corporate profit margins get squeezed even further going forward? An Abrupt Reversal for Stocks. This could ‘just happen’ out of the blue, or it could stem from an exogenous political or geopolitical shock. Or it could follow something else that investors aren’t even thinking about. My concern is that an abrupt change in sentiment or stock prices could ignite a selling stampede from the influential quant community, just as ‘portfolio insurance’ precipitated the October 1987 Wall Street crash. A Quick Climb in Interest Rates. This could, among other things, curtail mergers and acquisitions and/or stock-repurchase programs. An Abrupt Rise in Inflation or Inflationary Expectations. This could spark higher interest rates. A Federal Reserve Policy Mistake. We can never rule this out. A European Banking Crisis. This could have a “contagion effect” around the world. Policies that Destabilize Currencies. Again, this is always a possibility. A Zika Virus Outbreak or Other Health Event. Few investors are even thinking about this. A Monumental Hacking. A major computer hack of the U.S. banking and investing complex could disrupt everything. I agree with Doug. The view of “TTID” or “TINA” will likely end very badly for investors over the longer-term time frame. Distortions of price from reality are short-term, emotionally driven, cycles. With the S&P 500 trading at more than 25x GAAP earnings, 18x non-GAAP profits (one of the largest differentials between GAAP and non-GAAP in history), risk vs. reward is simply not present in the long-term. However, in the short-term, we must recognize the potential for the markets to remain “irrational” longer than logic would currently dictate. This is why I am cautiously managing portfolio risk and allowing the markets to “tell me” what to do rather than guessing at it. What happens over the next few days to weeks is really anyone’s guess. The data continues to suggest some sort of corrective action over the next two months (as discussed previously) which will provide a better risk/reward setup for increasing equity exposure in the short-term. But, over the longer-term time horizon, I am unashamedly bearish as the current detachment between prices and fundamental reality can not last forever. My best guess remains, as stated in the main body of this missive, is that a corrective action happens over the next few days to weeks. As shown in the chart below, the current deviation from the 50-dma combined with an excessively overbought condition, a sell signal, and declining volume has previously led to corrections. Sure, this time could be different, but I am not willing to bet my clients money on that. Such a correction will pull money out of equities as the quest for “risk” reverses into a search for “safety.” That shift will likely push rates back towards recent lows. Therefore, I still think adding to current bond exposure at these levels makes sense…for now. Not surprisingly, given the lack of direction or resolution of the current overbought condition, the portfolio equity risk weighting remains at 50% again this week. However, as stated above, this allocation will increase to 75% given the appropriate correction of the overbought condition. With all buy signals currently in place, and the bullish trend intact, this is not a market to bet heavily against…for now. However, it is also not a market to become extremely complacent in either. Again, we must be given the right “set up” to increase equity allocations. 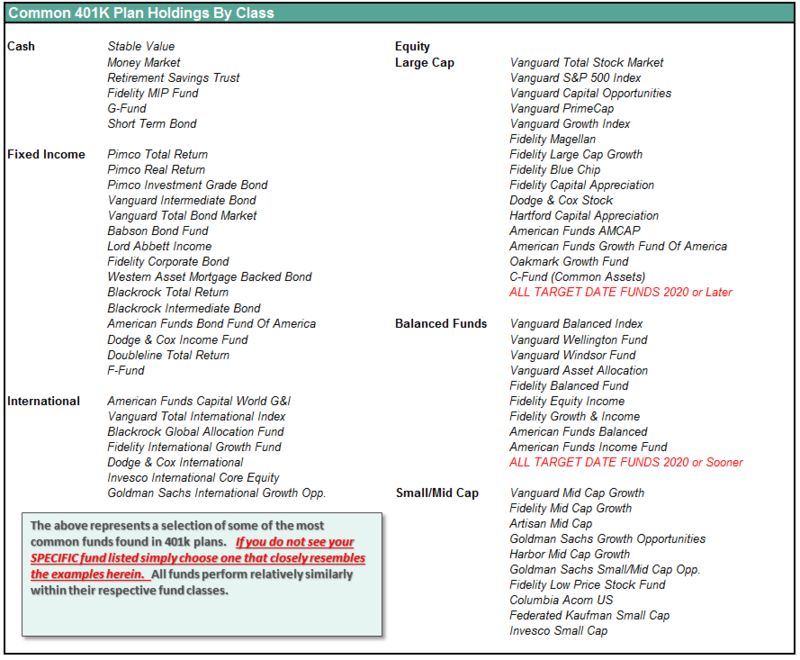 Begin by “averaging up” in existing holdings to match model allocation and weights. When, and IF, the market confirms the continuation of the “bullish trend,” then begin adding new holdings to the model. Relative performance of each sector of the model as compared to the S&P 500 is shown below. The table compares each position in the model relative to the benchmark over a 1, 4, 12, 24 and 52-week basis. Historically speaking, sectors that are leading the markets higher continue to do so in the short-term and vice-versa. The relative improvement or weakness of each sector relative to index over time can show where money is flowing into and out of. Normally, these performance changes signal a change that last several weeks. Notice in the next to last column to the right, the majority of all sectors and indices are pushing extreme levels of deviation from their long-term moving average. Such deviations can not, and do not, last long historically. A resolution of those deviations, which will occur during a corrective action, will provide the necessary risk/reward rebalancing to increase model allocations. The two charts below graphically show the relationship of each position’s performance relative to the S&P 500 Index. If we are trying to “beat the index” over time, we want to overweight sectors/asset classes that are either improving in performance or outperforming the index, and underweight or exclude everything else. The risk-adjusted equally weighted model has been increased to 75%. However, as stated above, a pullback in the markets is needed before making any changes. As always, this is just a guide, not a recommendation. It is completely OKAY if your current allocation to cash is different based on your personal risk tolerance, time frames, and goals. For longer-term investors, we still need to see improvement in the fundamental and economic backdrop to support the resumption of a long-term bullish trend. Currently, there is no evidence of that occurring. NOTE: I have redesigned the 401k plan manager to accurately reflect the changes in the allocation model over time. I have overlaid the actual model changes on top of the indicators to reflect the timing of the changes relative to the signals. “With the technical underpinnings still bullishly biased at the moment, we are now in the position to increase equity allocations over the next couple of weeks. But that is simply emotion working on you. In investing, sometimes the best thing “TO DO” is to “DO NOTHING.” This is where having the patience to wait for the “fat pitch” becomes much more difficult, but more often than not, provides the best results. As discussed at length in the above missive, we certainly want to prepare ourselves to increase equity exposure in portfolios, however, we must patiently wait for the right conditions to apply those increases. Furthermore, while waiting for the relaxation of prices to make more prudent entries, it also enables investors to bypass potential “head fakes” of market actions. Wait to make adjustments until technical conditions improve. Change allocations to target levels when conditions are right.